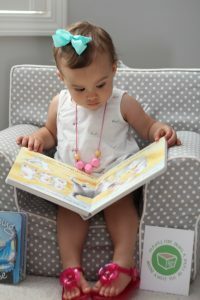 Reading books to your little one is fun! 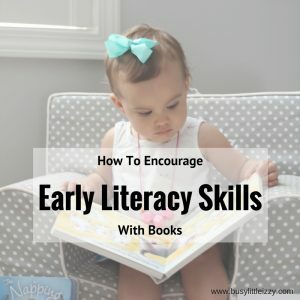 But do you know how to utilize your time reading so they are picking up on some early literacy skills? I’m going to share a few tips to use when reading books with your kid(s). Let your child pick a few books and bring them over to a comfy reading area. Show your child that you sit or lay while reading/looking through books. 2. Teach your child to start at the beginning. Show them the correct way to flip pages front to back (beginning to end). 4. Make books fun by acting out parts of the book. If the story has a sleepy character or many then yawn and stretch while reading. If the book has noises like “beep beep”, hit the book and act out the honking of the car horn while saying “beep beep”. 5. Explain or define new words. Most books are going to have at least one word a child is not familiar with so you can familiarize them with it by stating another word after. If the books states she was exhausted then say, “She was exhausted. She was tired. Maybe she needs a nap because she is exhausted.” Another approach could be “She was exhausted, tied.” Again here you could act out the word by acting tired/exhausted. 6. Keep introducing new stories! Sometimes it is difficult to always get to the bookstore or library, I totally get it. But there is another option. 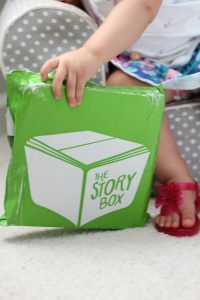 You can sign up for a fun subscription with The Story Box. 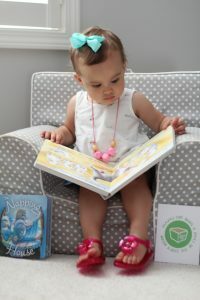 Go and chose from 3 package options of Board Books, Picture Books or Family (one of each). 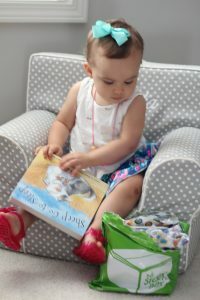 Izzy does well turing pages of all books but I feel at her age (17 months) the board books are less likely to be bent or accidentally torn. I try to implement this advice when reading to my kids. I’m pretty lively when reading…they might think I’m slightly crazy lol. I love the idea of the Story Box! Super convenient! This is great! 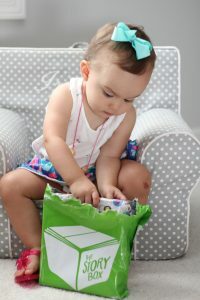 We love our Story Box family package! There’s a board book for Gabriel and paper book for Isabella! How fun!! I need to order this book box! Xo! Yes it’s awesome! I got some of my favorite books that I somehow didn’t own! ? Izzy is so adorable! I just love that you do so much reading with her, we try to do the same here with the kids and they love it! Great post! I don’t think people just how important early literacy is!!! Great tips! Learning young is so important and it’s our job to teach them! Yes! The best way to establish literacy in your child is to READ! Ha, what a crazy thought! I also LOVE the idea of subscription boxes for books! Hopefully I can find one for adults, too!